If so, can I ask a favour? 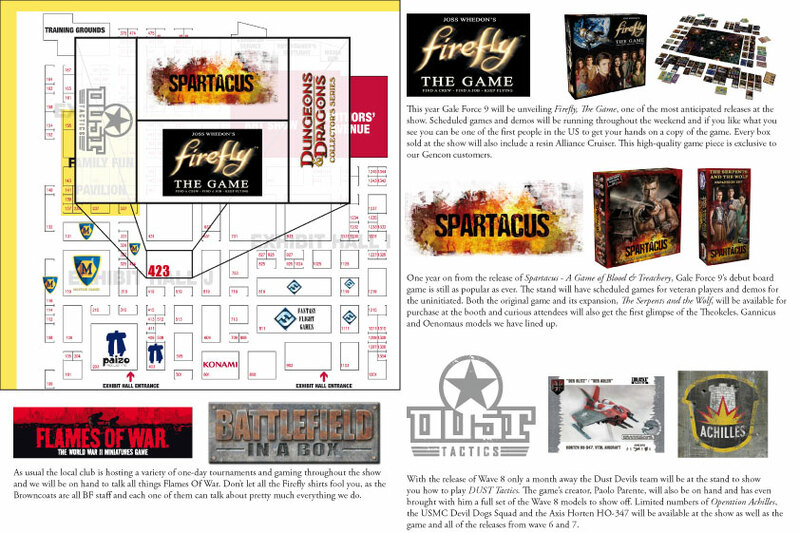 Gale Force 9, the makers of the upcoming Firefly: The Game, are selling special advance copies of the game at the show. Gale Force Nine can be found at booth 423. Copies of Firefly: The Game purchased at the show will include a resin-cast version of the Alliance Cruiser game piece. This version of the Alliance Cruiser is exclusive to our Gen Con customers. I've no idea how much they'll sell if for, so let me know as soon as you have it and I'll PayPal the cost over, then we can work out the shipping. Edit: Other web sites suggest $45.